A Personal Consultation is the next important step in exploring treatment with ICASA. It will provide greater clarity and a deeper understanding of the causes of the problems being experienced. At the consultation it will be possible to explore and determine whether Surrogate Partner Therapy would be an effective and appropriate component of treatment or whether one of the other ways of accessing the ICASA Recovery Programme may be more suitable. A treatment plan will be developed, including therapeutic goals and a preliminary assessment of programme duration. There is no obligation to proceed with treatment following a consultation. Personal consultations with David Brown last for up to two hours and can be held either in Central London or at The Centre for ICASA in Bedfordshire. 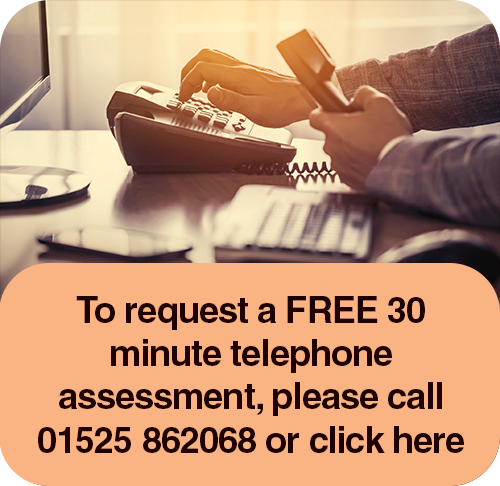 To arrange an appointment for a personal consultation, email enquiries@icasa.co.uk or telephone 01525 862068. ICASA Sexual Self-Development Programmes have proven, high rates of success but are not a ‘quick fix’ and neither is it necessarily appropriate for everyone. For these reasons the first step towards a treatment programme with ICASA is through a Free Telephone Assessment with David Brown, Principal of The Centre for ICASA. This Assessment may last for up to thirty minutes and provides an opportunity, in strictest confidence and without obligation, to further explore the ICASA therapeutic approach. You cannot transform your life simply by changing your external circumstances. In order to attract new circumstances, you must change your mind. Recurring, negative thoughts create negative and recurring patterns, circumstances and relationships. How can the destructive aspects of the mind be transformed? David Brown works with a transpersonal psychological system which can be understood and followed by everyone irrespective of gender, culture, religion, background, occupation, sexual orientation, relationship status or social position. It does not require any particular belief. Healthy scepticism and the willingness to question everything is helpful. Most people live in a very restricted circle of their potential being. They make use of a very small portion of their possible consciousness. We all have reservoirs of life to draw upon, of which we do not dream.